The Church of Greece, part of the wider Greek Orthodox Church, is one of the fifteen autocephalous Eastern Orthodox churches which make up the Orthodox Communion. Its canonical territory is confined to the borders of Greece prior to the Balkan Wars of 1912–1913, with the rest of Greece being subject to the jurisdiction of the Ecumenical Patriarchate of Constantinople. However, most of its dioceses are de facto administered as part of the Church of Greece for practical reasons, under an agreement between the churches of Athens and Constantinople. The Greek Orthodox Church traces its history back to the time of St. Paul who was the first to preach Christianity in Greece. He visited Athens, Philippi, Thessaloniki, Veroia, Corinth and Crete. Christianity eventually spread through Greece from these cities. In these early days, the Church of Greece comprised a diocese, with Corinth as the centre, known then as Achaia and considered a city of great importance. By 733 AD, under Emperor Leo the Third, Greece was acknowledged as part of the Ecumenical Patriarchate of Constantinople but prior to this, it was subordinated to the Bishops of Rome. During the Byzantine Empire and the subsequent Turkish occupation of Greece, the Christian church in Greece was under the administration of the ecumenical patriarch of Constantinople. The Church of Greece declared autocephaly in 1833 but was not granted a tomos for it by Constantinople until 1850. In 1864, the Ionian islands were added to the Church of Greece and in 1881 the diocese of Thessaly and parts of Epirus were also added. Also in this year, the first Greek Orthodox church was founded in America. Under an agreement made in 1908 between the Ecumenical Patriarchate and the Holy Synod of Athens, jurisdiction of the churches in America was given to the Church of Greece. In 1927, the statutes regarding the Church were modified resulting in the government controlling the church and attending the Holy Synod meetings. So during the 20s and 30s, the turbulent political events in Greece divided the Greeks of America and this resulted in Archbishop Athenaogoras of Corfu to be appointed to head the Greek Church in America. Today the Church of Greece is governed by a Holy Synod, presided over by the Metropolitan Archbishop of Athens and assisted by four bishops chosen in regular succession. The Patriarch of Constantinople is still regarded as the spiritual head of the church and all of the Holy Chrisma used in Greece is consecrated by him. 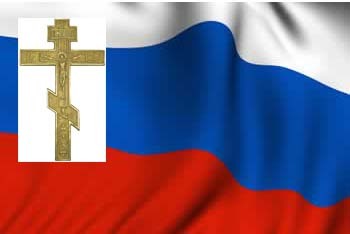 Organised as a state church, similar to the pattern adopted in the Russian church under Peter the Great of Russia, the ultimate authority is vested in the Synod of Bishops under the presidency of the archbishop of Athens and all Greece. A second synod, with the same presidency, consists of 12 bishops, each serving for one year only. The first synod deals with general ecclesiastical questions, whereas the second synod deals with administrative details. The church is divided into 81 small dioceses; some of these, are nominally under the jurisdiction of Constantinople. The majority of the church's priests in Greece do not have a university education, with very little formal training beyond two years at higher seminaries after high school. The current primate of the Church of Greece is His Beatitude Ieronymos II (Liapis), Archbishop of Athens and All Greece.